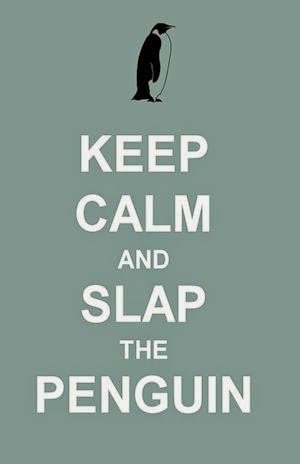 My Twist News Slap the Penguin is back after a brief sabbatical, and boy did we pick a bad time to take a break! 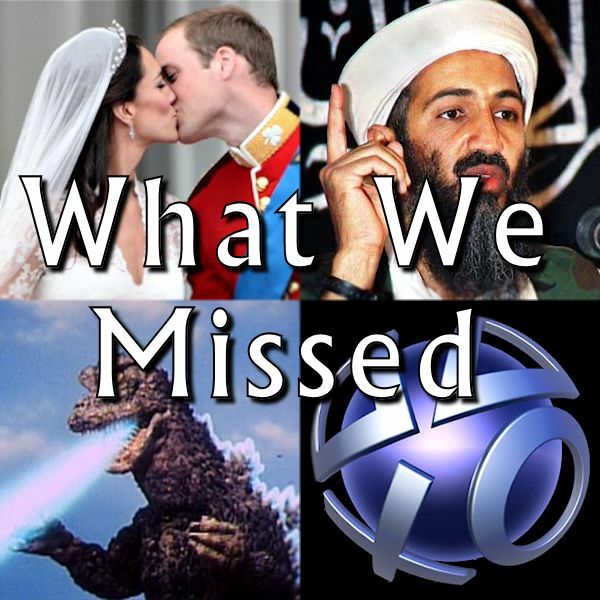 So much great news has happened since March 9th, including Royal Weddings in England, high profile assassinations in Pakistan, Earthquakes and Tsunami in Japan and the PlayStation Network getting taken down. We missed out on reporting some (potentially) award winning stories. So the following is how we would have handled them. It will feel like we were never away. Way back in April, the country of Japan was struck by a 7.1 magnitude earthquake followed by a Tsunami wave 30-50ft in height. As if this did not cause enough destruction and devastation, a number of Japanese nuclear reactors were damaged and are pumping out deadly radiation. While this is a huge disaster for Japan, I still get the feeling that the worst is yet to come. The combination of events is similar to those that spawned the star of the 1954 B-movie classic, Godzilla. The last thing that the people of Tokyo need is a 100 ft green rubber monster stomping their city into the ground. The wedding of the year decade century millennium? Those Brits sure know how to throw a Royal Wedding and shut down an entire country for almost a week. The cost to businesses for being closed over Easter and during the wedding was estimated at $50 billion. Kate looked resplendent in her ivory 'Grace Kelly' wedding dress and William looked awkward in his nutcracker tunic. Although she married a Prince, Kate is not entitled to prefix her name with Princess. Her official title is Her Royal Highness Princess William Arthur Philip Louis, Duchess of Cambridge, Countess of Strathearn, Baroness Carrickfergus. Such a long winded title is not tabloid friendly so she will be known by her kennel name - Kate, Duchess of Cambridge or K-DoC for short. Osama Bin Laden was conveniently killed less than 48 hours after the Royal Wedding to remove William and Kate from the headlines and give those witches on the view something less banal to cackle about. In an unreleased statement, an unnamed spokesperson for The White House said “We were saving the news for a time closer to Obama's re-election campaign, but we just got so sick of hearing about William and Kate that we moved things forward and trumped them.” And we thought Trump was a bad word in The White House. 77 million nerds worldwide have rediscovered reality when Sony's PlayStation Network was hacked, and forced to close in late April. The PSN is the social crutch used by many misfits to play multiplayer games across the internet, since they don't have real friends. Sony are still not able to say with confidence what information was taken in the attack, and have so far been unable to return the bulk of the online services to the masses. Thanks, Sony; now I have no idea when I can get my next Mortal Kombat beat-down from a smack-talking 13 year old from Tuscaloosa. Glad you're back! You're oh-so right, too -- what a time to skip out! Love your retreads, though. Thanks, it does feel good to be back. Good to here you are back & well! Thank You. I have missed you all. Now all we need is some major, Earth shattering news.